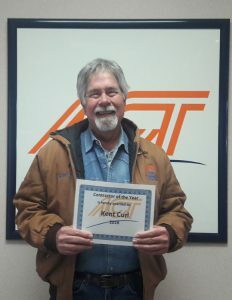 Kent was very surprised when he was told he was contractor of the year. “I didn’t even think about the possibility of winning the contractor of the year.” This just demonstrates Kent’s focus on being productive. He is always thinking one step ahead and arrives as early as he possibly can to keep moving. Kent always communicates on his planning and is always dependable for on time delivery.